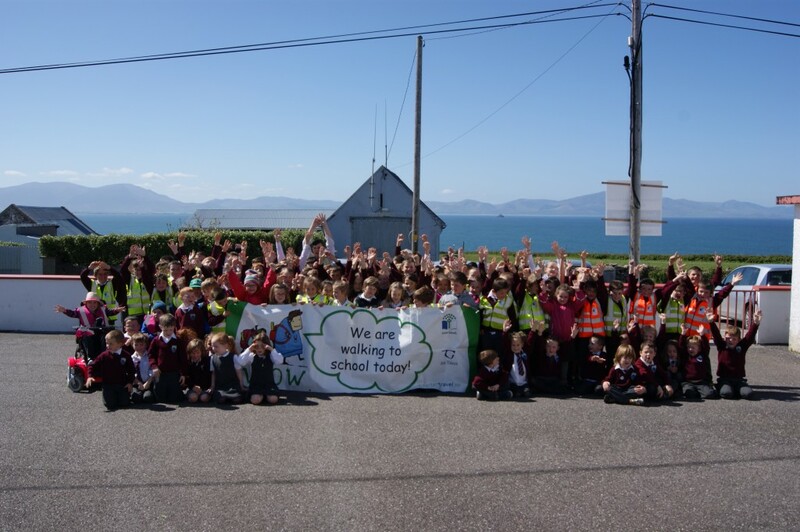 We held our Green-schools Action Day on May 28th and worked with the Active Schools and Health Promoting Schools committees to plan the day. 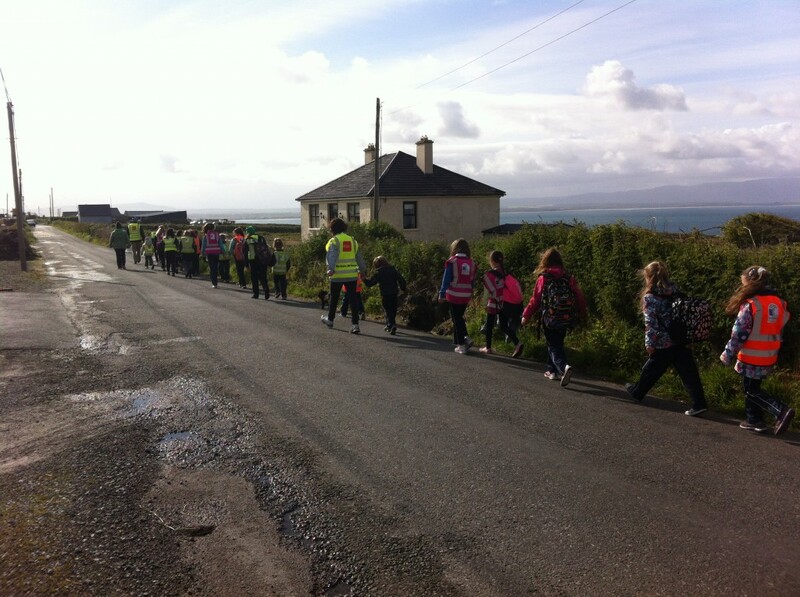 Students who would generally travel to school by car began a week of walking to school in groups. 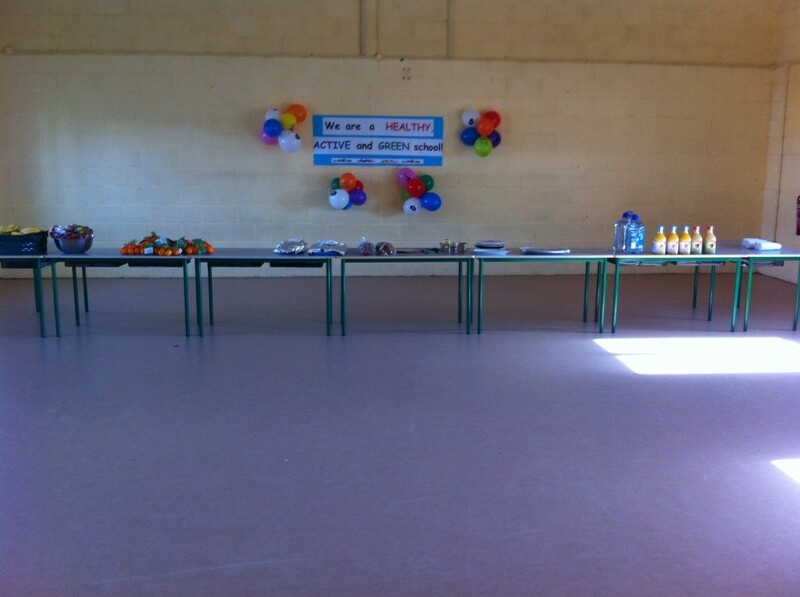 All children dressed in green colours and were treated to a healthy breakfast on arrival, organised by teachers and parents. 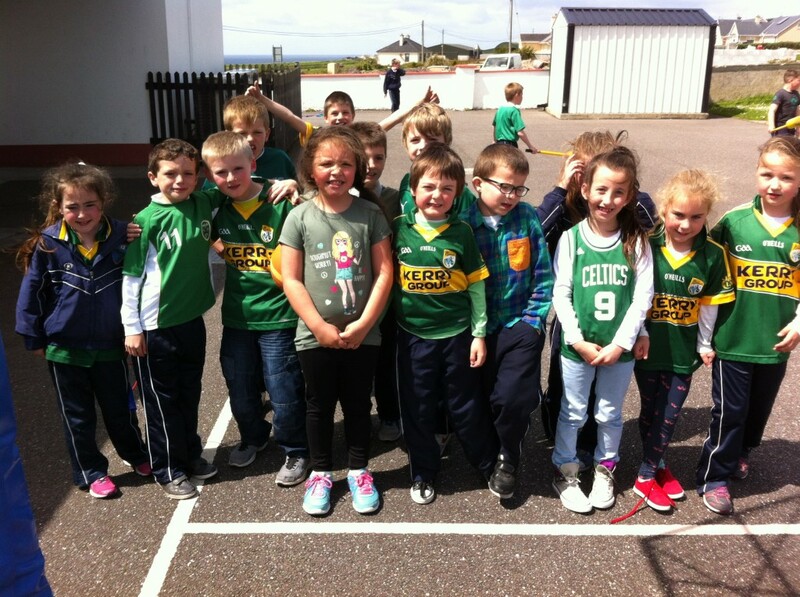 Over the coming week students will take part in a variety of active games to promote Active Schools Week 2015. 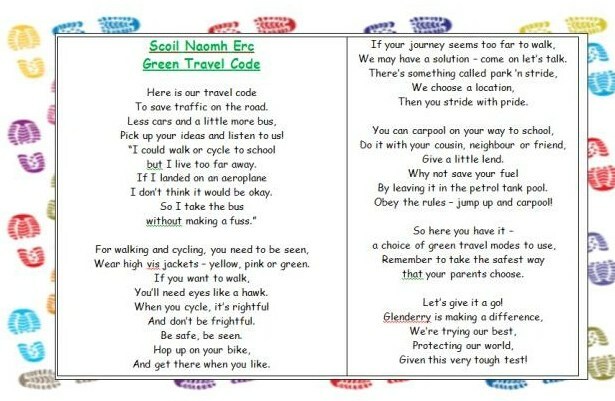 This year, Scoil Naomh Erc have begun to work on the fourth theme in the Green-schools programme – TRAVEL. 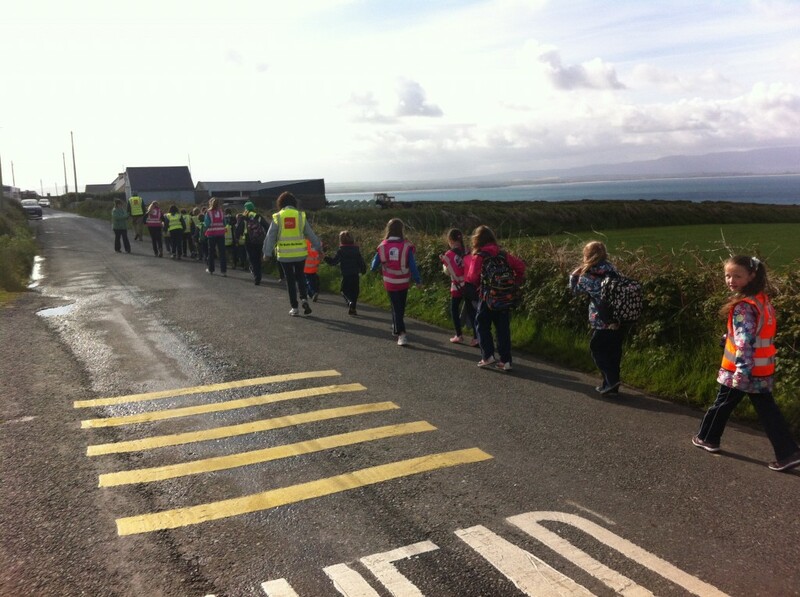 We will try our very best to promote more sustainable modes of travel to and from school, for example: walking, cycling, carpooling, park n’ stride and the bus. 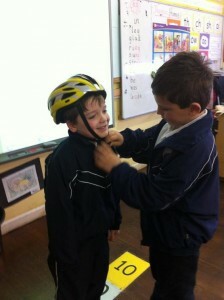 The committee have a very important job of recording how students travel to school. They will also maintain work on the other previous green-school themes (Litter and Waste, Energy and Water) by collecting the recycling bins, checking that light switches/computers and whiteboards are turned off and by reading the water meter. 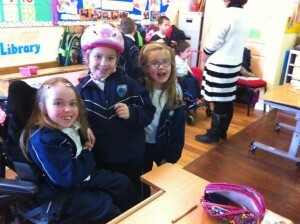 Angela Wall visited all classes during the year to speak about road safety. 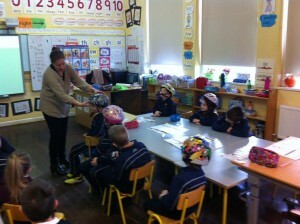 Children are allowed to bring their cycling helmets to school and Angela showed them how to fit them in the correct way. 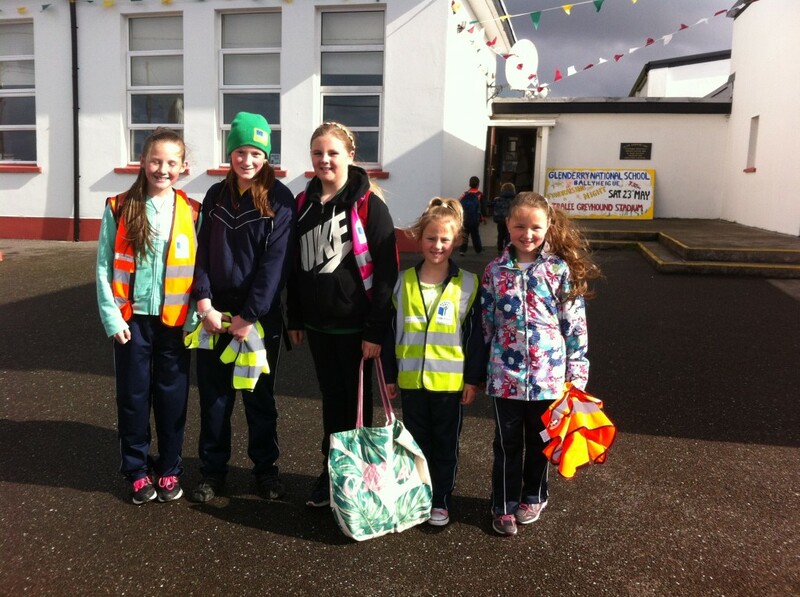 Scoil Naomh Erc, Glenderry have been working on the Green-schools Water Theme for the past two years. We were thrilled to receive our flag and we raised it with all students and staff on the 19th of June. 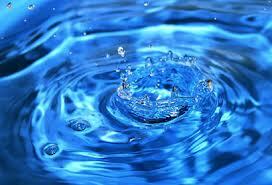 We have an absolutely fantastic committee within the school who have worked extremely hard to conserve water and raise levels of awareness amongst students and staff. 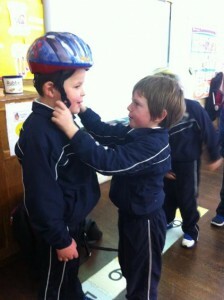 Our very helpful caretaker, Noel, was always on hand to share his advice. Turning off taps, reading the meter and checking for leaks may have seemed like a small thing but with 129 children practicing this every day, it has made a massive difference to our school. We held a Water Experiment Day to mark World Water Day and invited parents in to spread our message to the wider community. 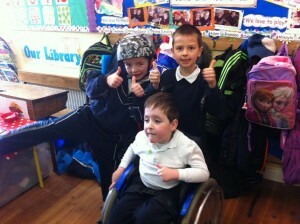 Guest speakers also visited to share their knowledge with the children. By taking part in Green-schools, our students have been given the opportunity to develop decision making skills, build their confidence and sense of citizenship through participation while contributing to a cleaner and safer environment for all. Great work is under way towards the school’s third Green Flag. This flag is awarded for the schools efforts in the area of water conservation. 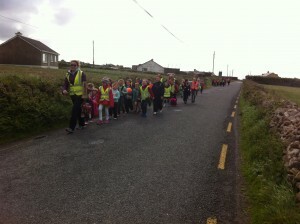 Check out Gallery/Green Flags for some pics of the story so far. in my school and in my home. and use rainwater when I can. watering can when watering the plants. and fill my water bottle and not let it spill! if I come across any leaks or drips! I pledge only to use and make ice when I need it! and on this Earth I want it to stay! 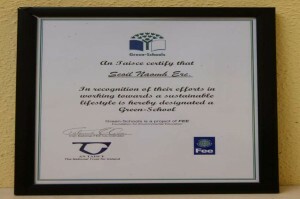 Second Green Flag awarded to the school for its great work on energy conservation. Well done to all involved. 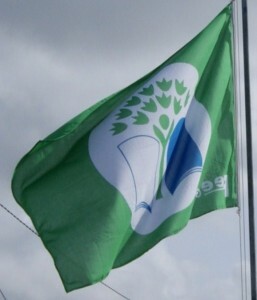 Scoil Naomh Erc received its first Green Flag this year, which is proudly flying high in the school yard. It was awarded for completion of phase one of the Green Schools initiative, which related to waste management. The Green Schools Committee and all staff and pupils are now working hard on achieving our second green flag which is awarded for the schools efforts in Energy Conservation.